The Eden Project is a museum and show garden that celebrates plants, set in a disused quarry just outside of St Austell in Cornwall. The site now contains 2 Biome’s including the largest rainforest in ‘captivity’. 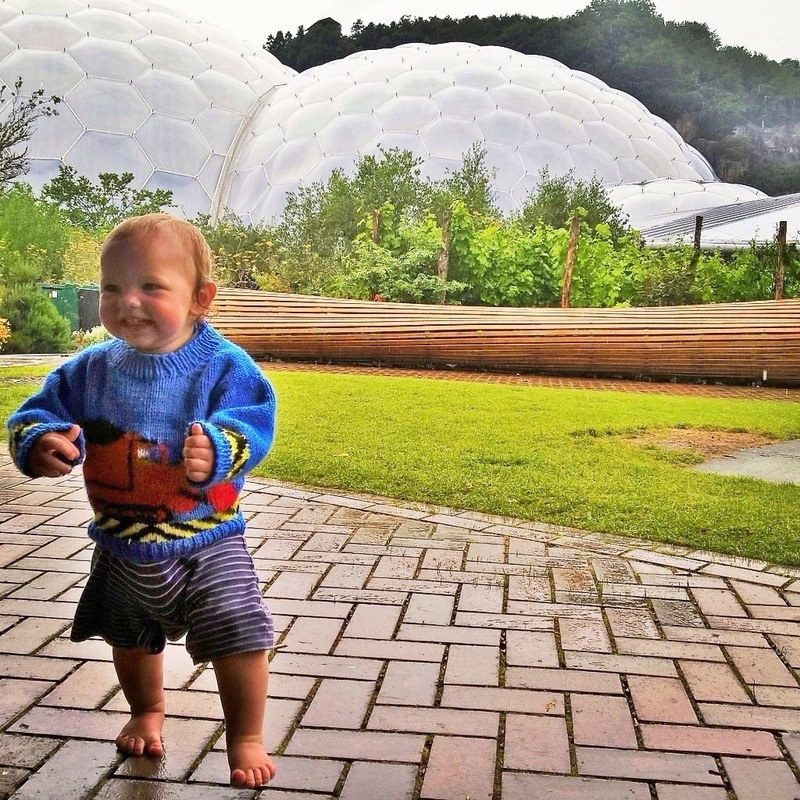 The Eden Project aims to educate it’s visitors about how they can help build a more sustainable future for the planet by encouraging a joy of and connection to plants. We were lucky enough to visit on a very wet August Monday. The start of the Summer school holidays, one of the Eden Projects busiest periods. Our group consisted of myself, my husband and our 4 children aged between 11 months and 11 years. 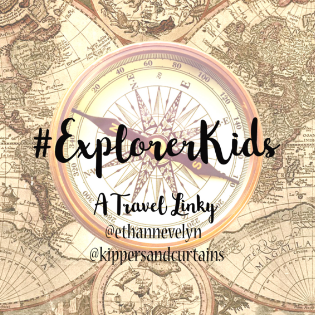 We travelled down to the Eden Project site the night before our visit as we were booked to stay onsite at their YHA accommodation. We travelled down from North Devon on the A30. This is a good road, although traffic can get heavy during the Summer months. As we approached St Austell we took a narrow B road. Despite being a minor road the Eden Project was clearly sign posted as we approached. As we had stayed on site the night before we were ready and waiting at 9:30am, opening time! There are a vast number of car parks, all named after fruit, and I was surprised that despite arriving so early the car parks were filling up very quickly and crowds were already streaming into the entrance. (Just a warning, as we drove out of the site to leave in the early afternoon, the queues to get into the car parks were VERY long). The car parks all filter into the main, covered entrance. The staff were plentiful and despite the large numbers queues were tackled efficiently. We were directed to the information desk to collect our tickets, this wasn’t clearly signed but a member of staff was able to guide us to the right place. We were given information about the Summer special event ‘Dinosaur Uprising’ and the children were given a special Dinosaur spotting passport and pencil. We were also given a detailed map of the site. Equipped with all the information we needed for the day we decided to head straight to the Dinosaur Uprising event before the crowds gathered. This was easy to find and we joined the short queue. We waited about 5 minutes before entering the dark, theatrical marquee. 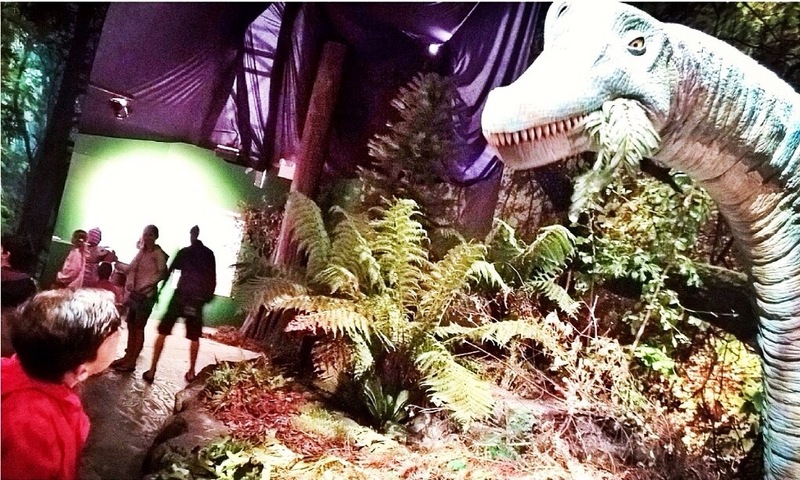 We encountered fantastically realistic, animatronic dinosaurs in their natural habitats. I think it’s fair to say we were all blown away by the incredible accuracy in these prehistoric beasts. We visited a number of environments in this experience, desert, coastal and under the sea. The final room introduced us to a huge floating sea creature (sorry, I don’t recall the exact name and I’m not a dinosaur expert!) with actors supporting prehistoric turtles and other carnivorous sea beasts that seemed to be snacking on members of the audience! A truly unique, engaging and interactive experience for all of us. We moved onto the main biome domes. Again we found our way very easily using both the map and sign posts. The Biome’s are joined by a large dining and shopping area. This was quite crowded and hectic, partly due to the fact that by now the heaven’s had really opened. We joined the flow of the crowd and made our way to the large of the 2 Biome’s, the Rainforest Biome. 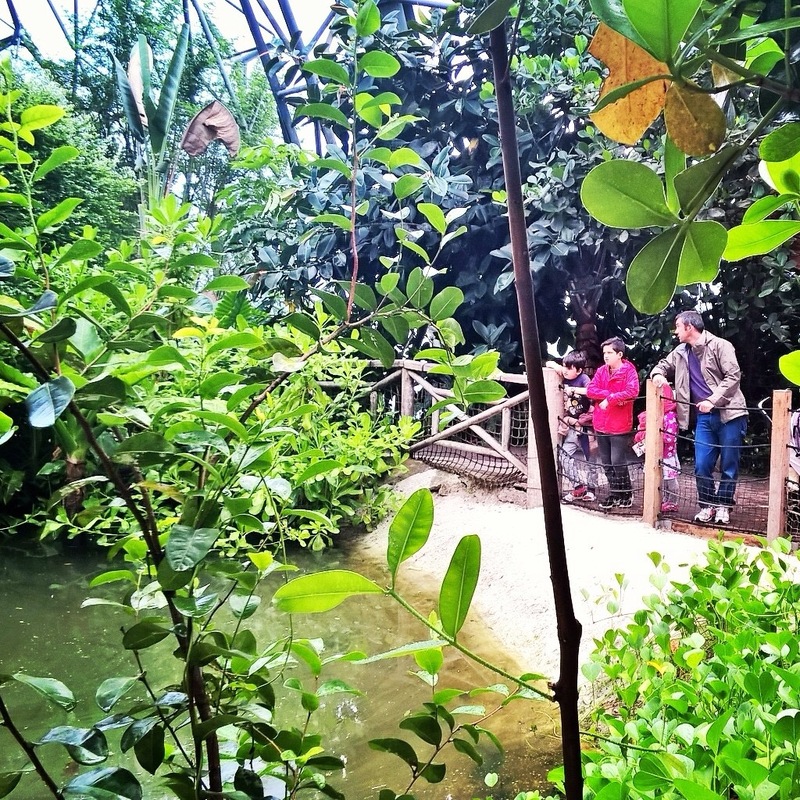 As soon as you enter the Rainforest Biome you feel transported to an equatorial destination. I’ve visited rainforests in Costa Rica and this genuinely felt, smelt and sounded like a genuine rainforest. This dome is vast. The plants tower over you as you walk through the push chair friendly footpaths. We encountered Roul Roul birds with their young, waterfalls, streams, banana plants, a typical Malay home and impressive torch ginger plants. The paths wind up higher into the canopy so as you explore deeper into the dome the view becomes increasingly impressive. There came a point where the push chair could go no further. We spilt up as a group, the more mobile party intending to climb right to the top viewing platform at the top of the dome. 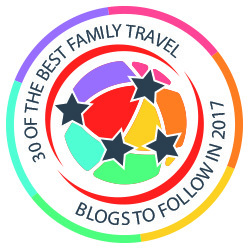 I stayed with the pushchair (and baby!). Sadly the summit team were not to succeed, they were put off by a long queue up to the top platform, and possibly the fear of delaying lunch! 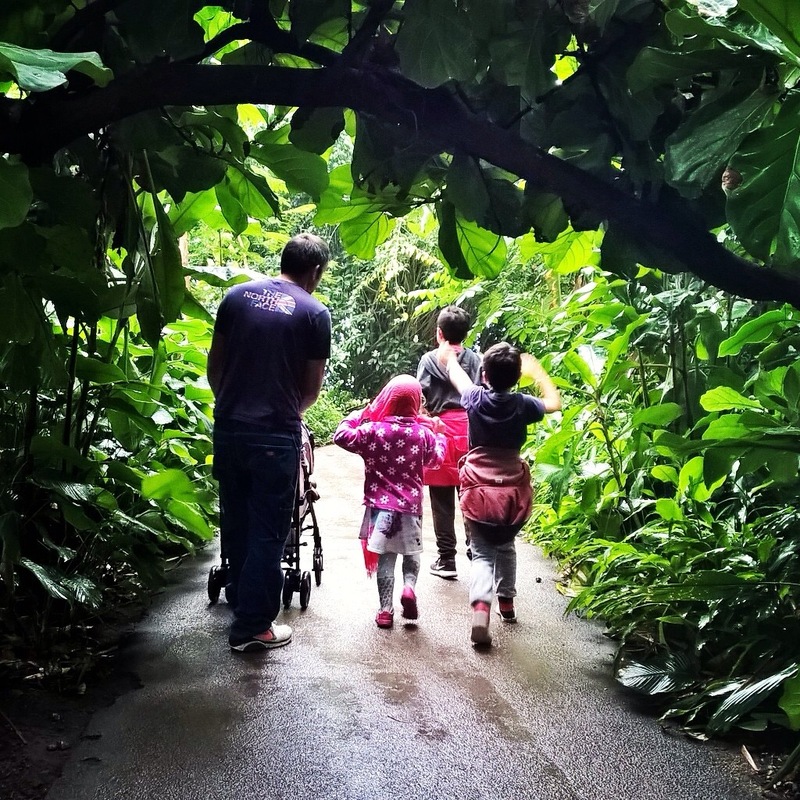 We all agreed that the rainforest dome is one of the most impressive things we have seen on a family outing. The children learnt a huge amount and both my husband and I loved seeing and learning about new plants in their natural environment. We took a breather to visit the toilets. Again, despite the obvious crowds we did not have to queue for any more than a minute or two when using the toilets throughout the day. Toilets are located in obvious and frequent locations and we were impressed with their cleanliness considering how much use they were getting on this particular visit. We chose to take our own food with us to save money. 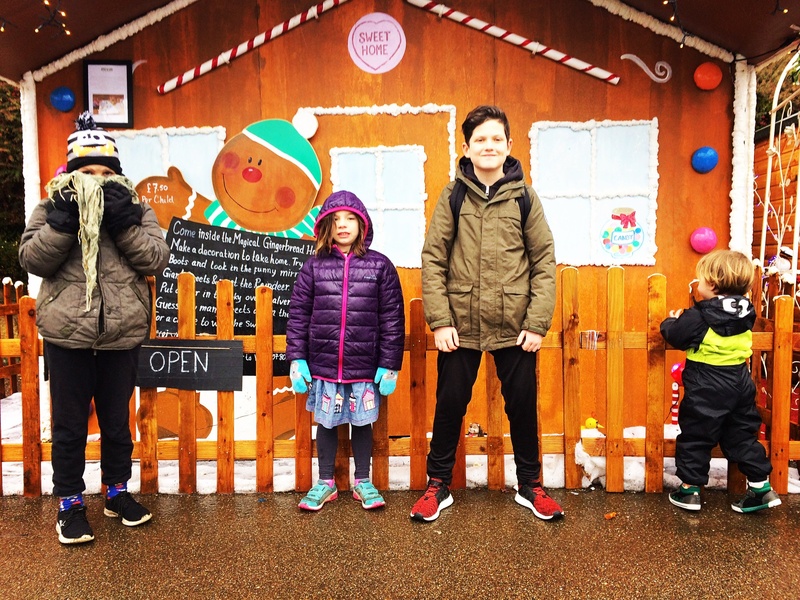 The restaurants tempted us with their delicious fragrances wafting under our noses but sadly as a family of 6 we just can’t afford to eat out on most of our days out. We found a sheltered grassy area just across from the Biome’s entrance to eat our packed lunch. There are many picnic areas dotted around the gardens, this one had a large cover to protect us from the downpour. We finished lunch and headed back to the Biome’s, this time the Mediterranean Biome. What really struck me about this dome was the smells….sage, thyme, olives and myrtle. The scents transported me to holidays in Spain and Greece. Although not as jaw dropping as the Rainforest dome the Mediterranean Biome is a relaxing, airy, refreshing alternative. Another aspect of this dome I really liked was that there were staff gardeners picking, planting and sowing vegetables as we observed. This is a real, working allotment…a functional experience. We finished our day by visiting The Core, the Eden Projects exhibitions and learning centre. Here my youngest was thrilled to see a soft play area where he could run wild (due to the rain the poor mite had been strapped in a pushchair nearly all day). The Core is essentially a museum about ecology with various displays and interactive areas. One of the exhibitions was an incredibly large sculpture of a seed crafted from stone which at about 2 storeys high, very impressive. Our older boys really liked the electric car, the Twizzy, and were particularly pleased to be allowed to sit in the vehicle. 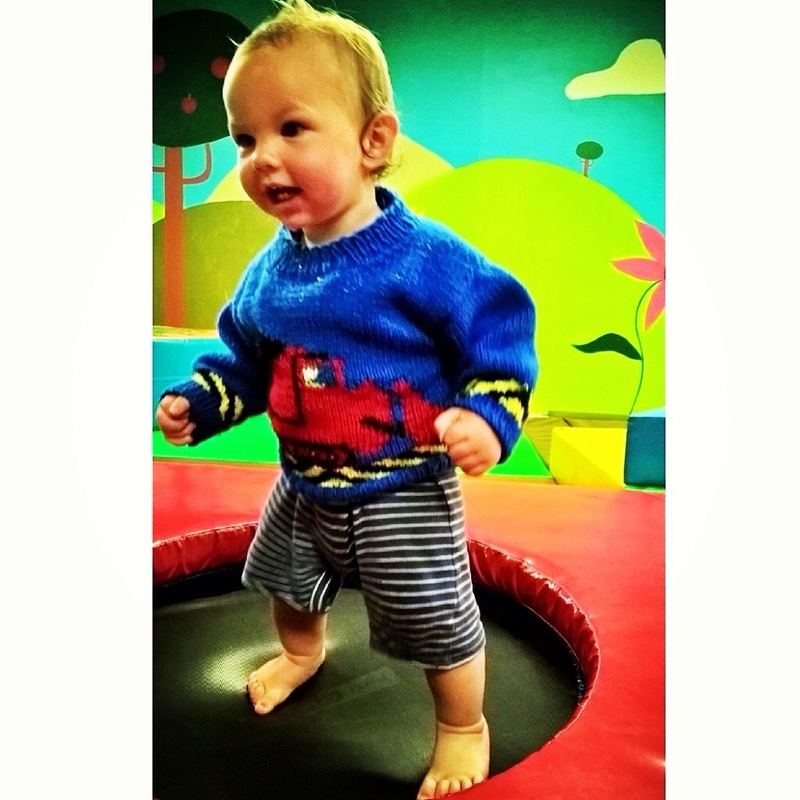 Soft play in The Core…bouncing! Sadly, due to the weather we didn’t explore the outside areas nearly as much as we would have liked to. 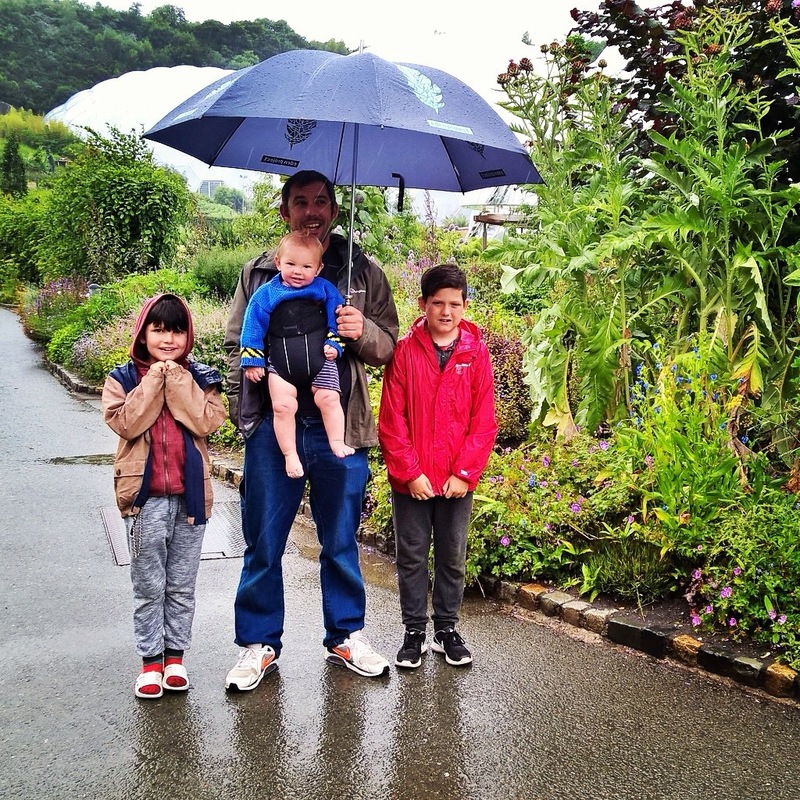 I can imagine that visiting the Eden Project on a dry day would be a completely different experience, but sadly it wasn’t to be…this time! We’d love to go back. We loved the experience but are well aware there is so much left to do. 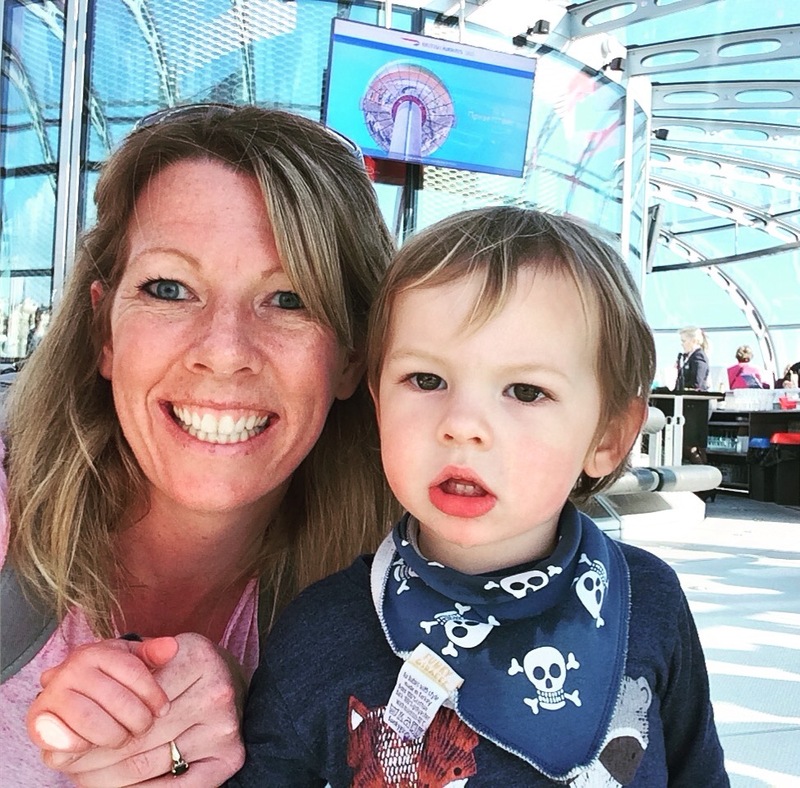 My husband wants to do the zip wire that traverses the site, we all want to explore the exterior gardens and we’d like to see some live music at the Eden Sessions. That’s it then, Summer 2017…..